Ultimate Epic Battle Simulator is a grand sandbox like the popular game Totally Accurate Battle Simulator, only here you have no restrictions. You can create an army of unprecedented size. All restrictions rest only on the power of your computer. Create a multi-thousand army consisting of Romans, orcs, trolls, or even penguins. The developers have tried to add several types of soldiers to make the game more interesting. Some types of units beyond madness. 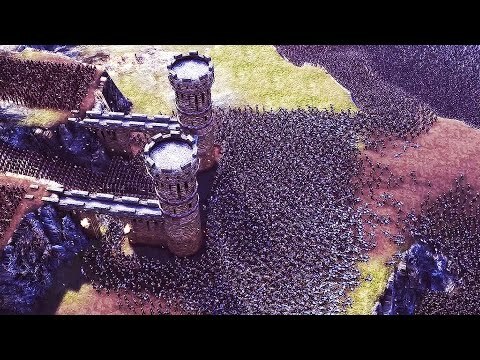 Another nice feature of UEBS is that during the battle you can personally control one of the units, thereby increasing your chances of winning.